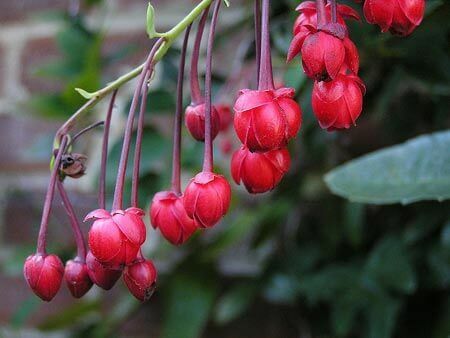 This evergreen climber is ideally suited to growing in the shade. Heart-shaped, dark green leathery foliage. Clutches of cerise ball-like flowers that open to be star-shaped. Flowers in summer and autumn. Height 1m. Width 1m. Frost and drought tolerant. Best in shade.